Taking a Brechtian approach to fairytale and folklore, the libretto for Hush features five runaway children who embed their own stories of social and familial abuse in collective re-tellings of ‘The Pied Piper of Hamelin’ and Hans Christian Andersen’s ‘The Nightingale’. Written while Naomi Foyle was an undergraduate at the University of Toronto, Hush prefigures many of the themes of her later work. 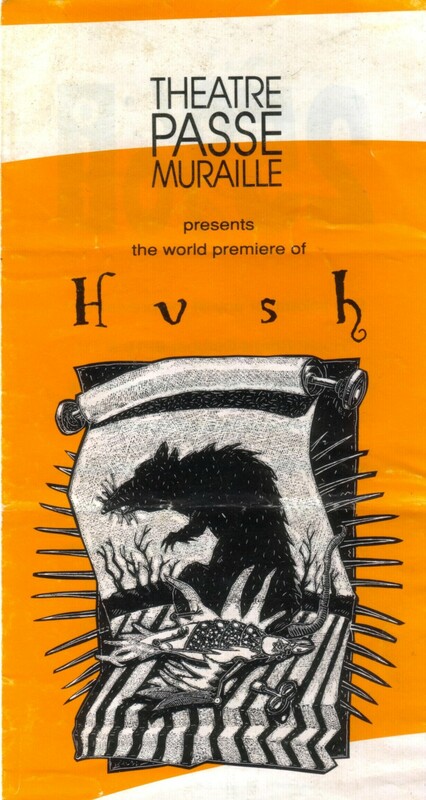 Scored by Allen Cole, directed by Peter Hinton, and starring Holly Cole, Randi Helmers, Taborah Johnson, Jimmie Earl Perry, James Tait and Alisa Palmer, Hush enjoyed an extended run at Theatre Passe Muraille in Oct 1990. It subsequently won three Dora Awards, including Best Musical Production.